Aberant Starspell and Aberant Shimmerspell are two bosses in the Warden Armour quest line in Stonevale. This guide will give you all the info on this boss. 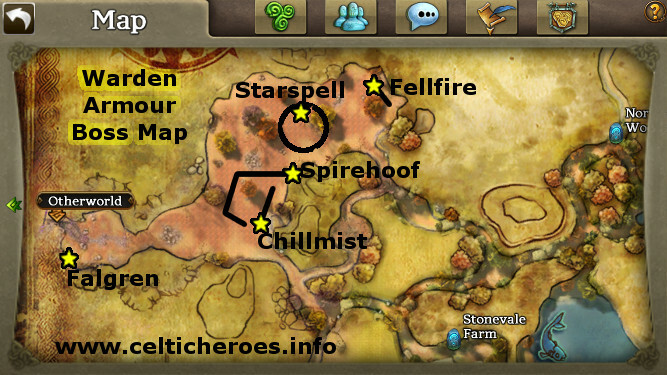 Starspell is the third boss in the Evil in Stonevale quest chain. Starspell is the third boss in the Warden Armour Quest line. Location: Middle of the Bloodgrove in Stonevale. Buffeting Gale - reduces your attack, causing you to miss. Watch out for accidentally pulling Spearhorn who walks nearby, if he's up. Aberant Starspell used to be a large White Wisp in previous versions of Celtic Heroes. Below is a video documenting his changes.